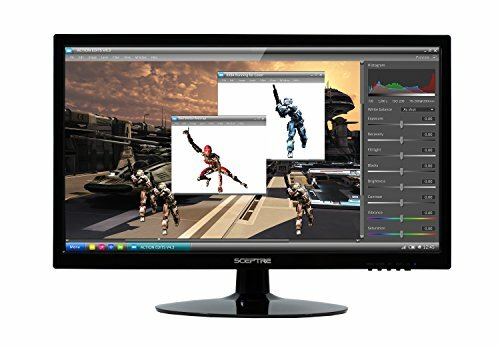 Whether you are a gamer or a movie buff, the Sceptre E205W-16008A monitor is the way to go. 1600 x 900 resolution delivers vivid colors and sharp images on a 19.5" diagonal corner to corner inch screen. A 5 millisecond response time displays action sequences with the highest Degree of clarity. Enjoy HDMI, DVI, and VGA inputs to connect all video and gaming devices.